Stay tuned for upcoming events for Rock Night in near future. Rafi Peer Theatre Workshop is organizing Rock Night on 15 April 2017. 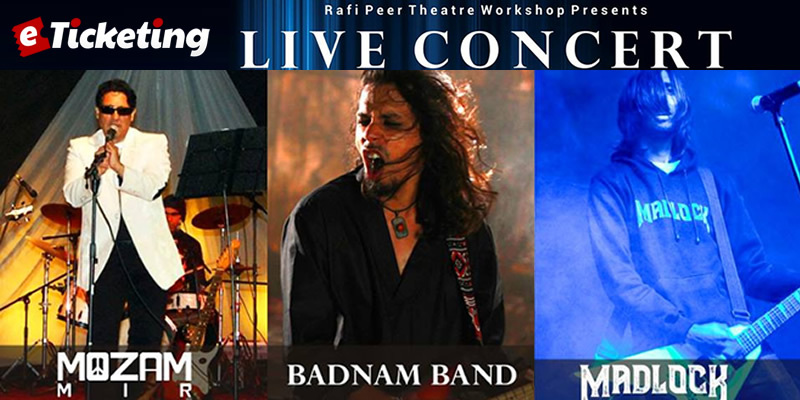 Live Concert will feature Mozam Mir, Badnaam Band and Madlock. Venue for this gig will be Peeru's Cafe in Lahore. Music fans in Lahore and nearby cities enjoy this extravaganza event. Mozam Mir is a musician, entrepreneur and activist who grew up in England and Holland. He has great passion for rock music. He has always loved to perform in this mainstream musical genre. He is performing his own songs and 70's and 80’s rock and commercial stuff also. Terms & Conditions : Organizers reserve the right of admission to the venue. Admission without passes will not be permitted. Best Viewed at 1024 x 768 pixels and above. This Page loaded in 0.09595 seconds on Tue, Apr 23, 2019 (21:10).